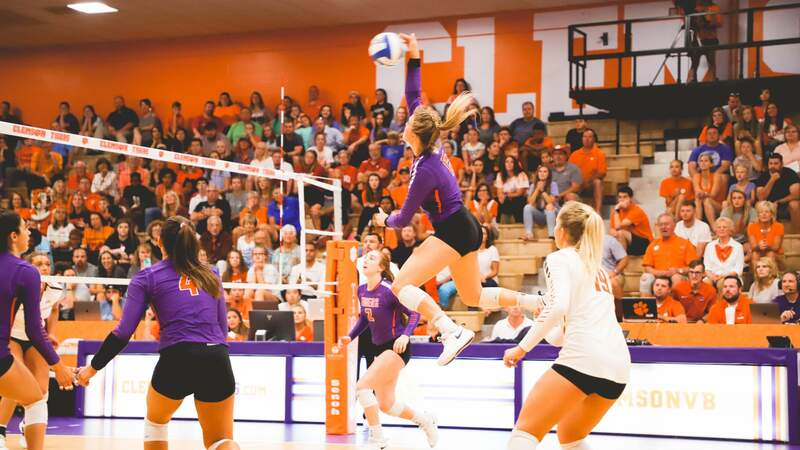 CLEMSON, S.C. – The Clemson volleyball team earned its first ACC win of the season in a sweep (25-18, 25-13, 25-22) over Virginia Tech in Jervey Gym Sunday afternoon. With the win, the Tigers improve to 10-9 overall and 1-5 in ACC play, while the Hokies slip to 12-6 overall and 3-3 in conference matchups. 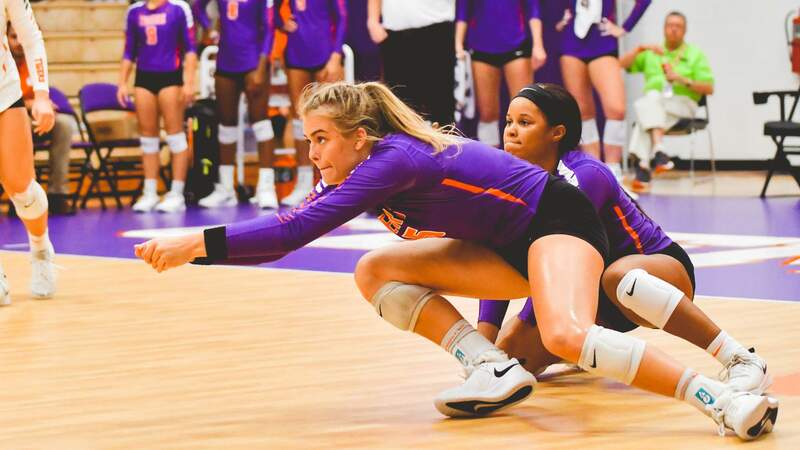 Redshirt-sophomore Brooke Bailey led all Clemson hitters for the second consecutive match, tying the match high with 12 kills, while hitting an efficient .526. 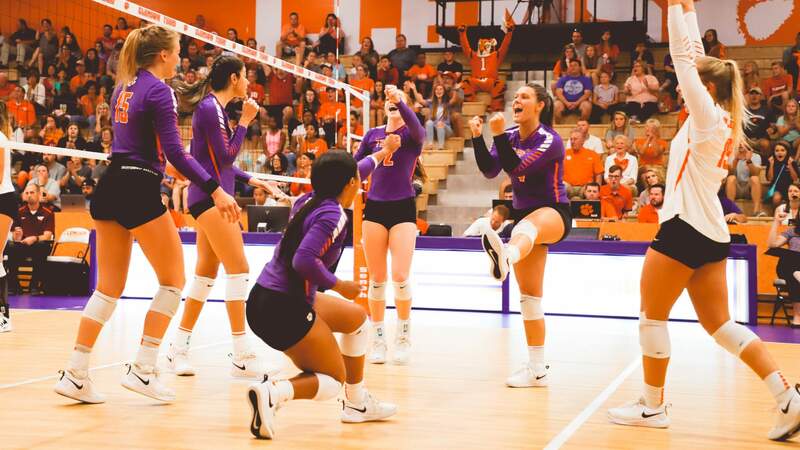 As a team, Clemson hit .369 for the match, its second best hitting performance of the season. 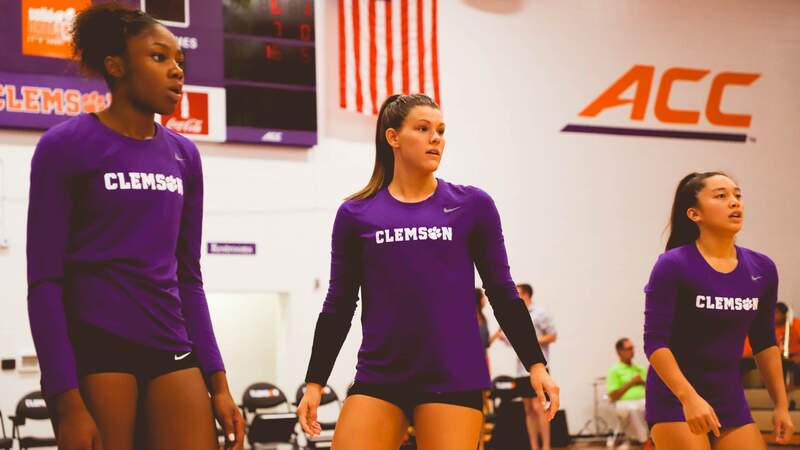 Sophomore Alyssa Deloney, who ranks eighth in the ACC in hitting percentage, continued to shine in the front row for the Tigers. 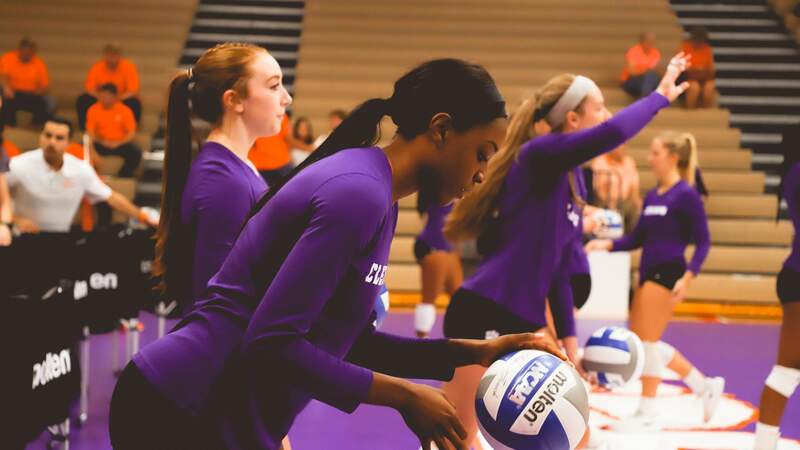 Deloney registered nine kills, a match-high 5.0 blocks, while hitting .500. 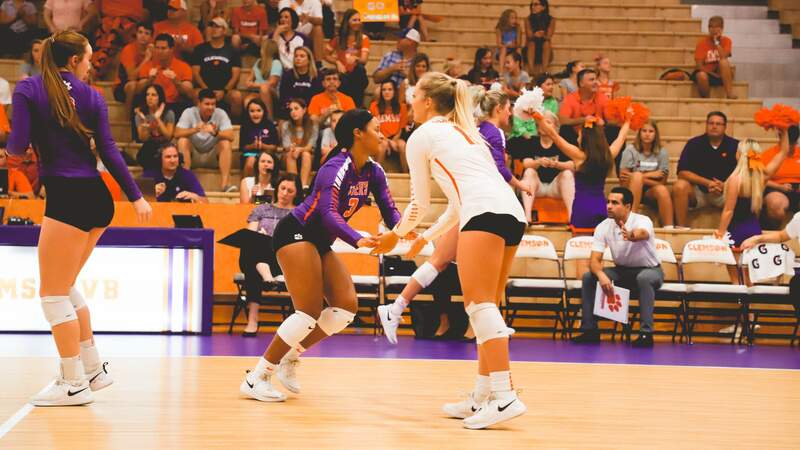 Freshman setter Gabby Easton dimed 35 assists and sophomore libero Madi Howell recorded 13 digs to tie her season high in a three-set match. 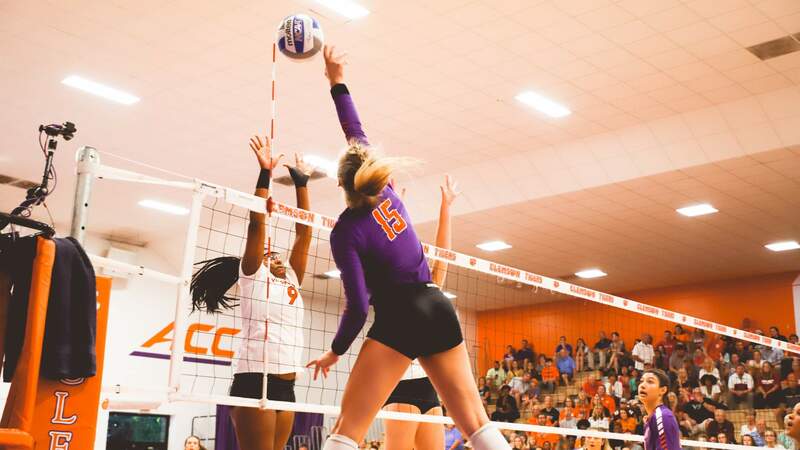 After trailing early in the first, Clemson shifted momentum in its favor after a block by Easton and freshman Ava Pritchard, which gave the Tigers an 8-7 lead. Clemson went on to close out the first on a 5-1 run to take game No. 1, 25-18. 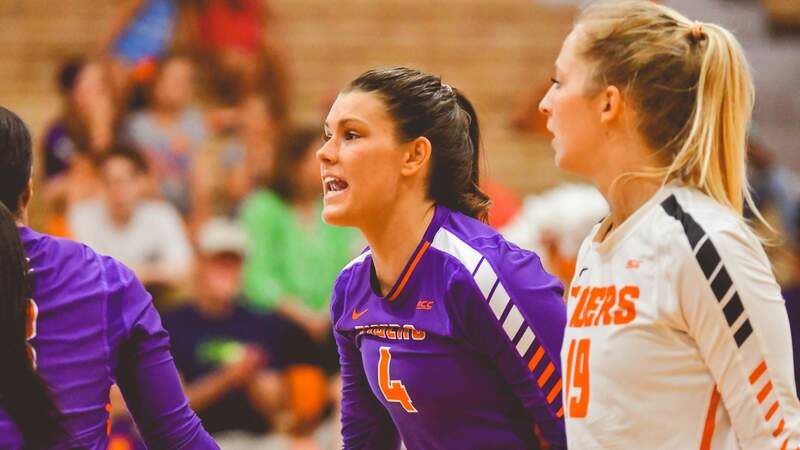 The Tigers came out firing in the second, jumping out to an early 7-1 lead, a margin VT could not withstand. 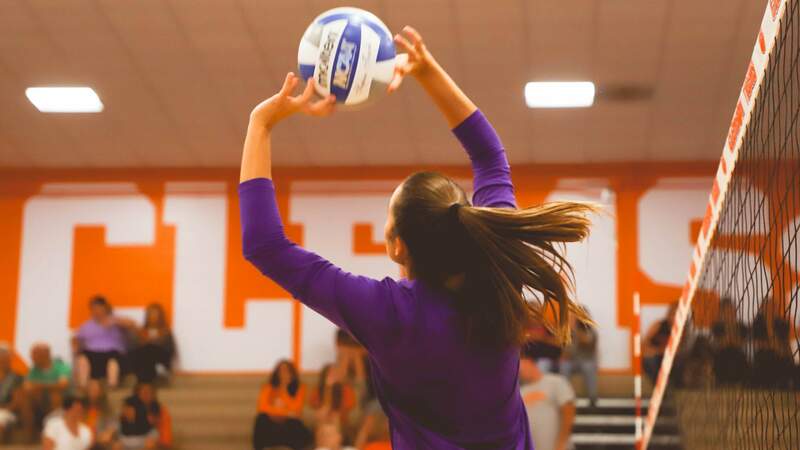 Clemson held the Hokies to a -0.71 hitting percentage in the second, while the Tigers hit .478. 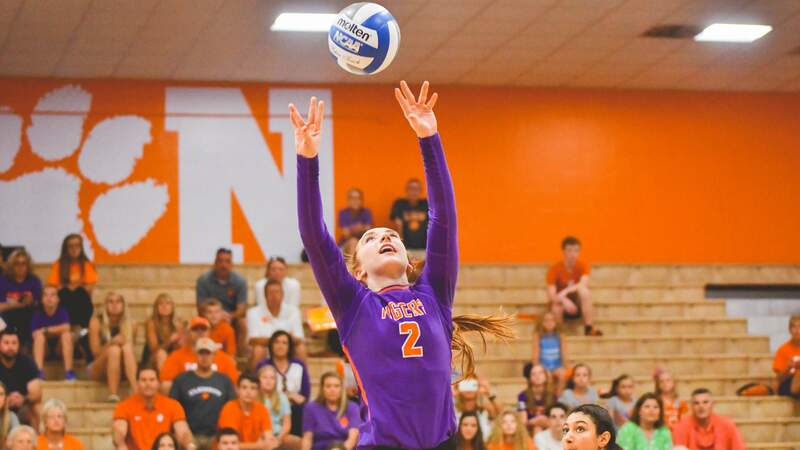 Bailey led all hitters in game No. 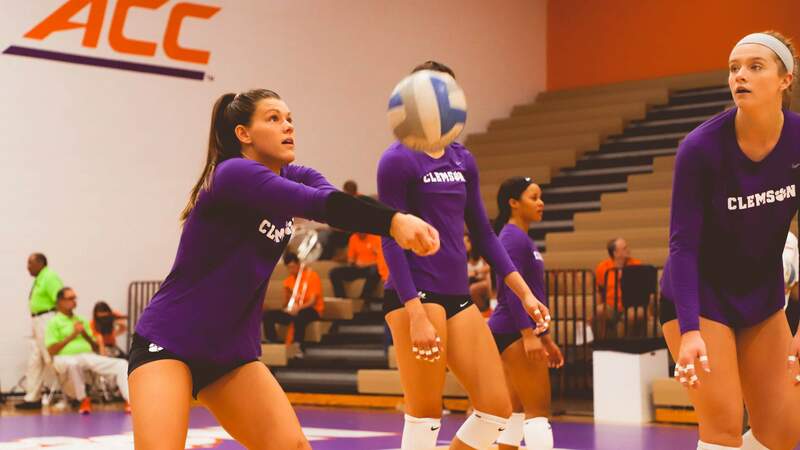 2 with five kills on six attempts as Clemson took the set, 25-13. 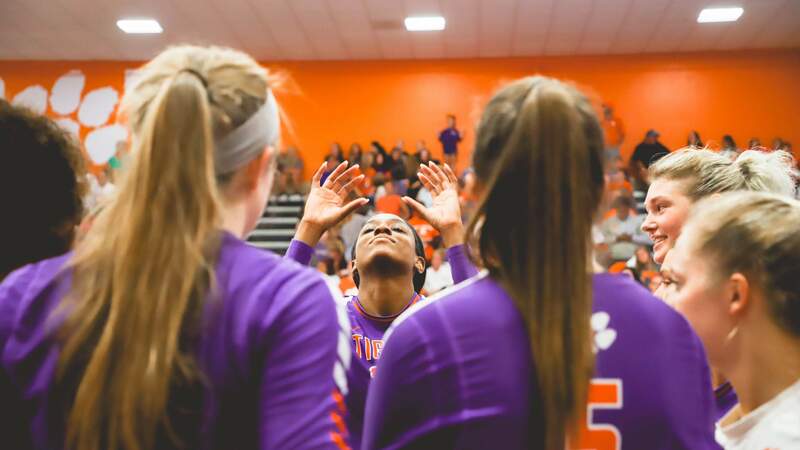 Tech kept it competitive in the third, but three straight Tigers points late in the set gave Clemson a 20-15 lead. 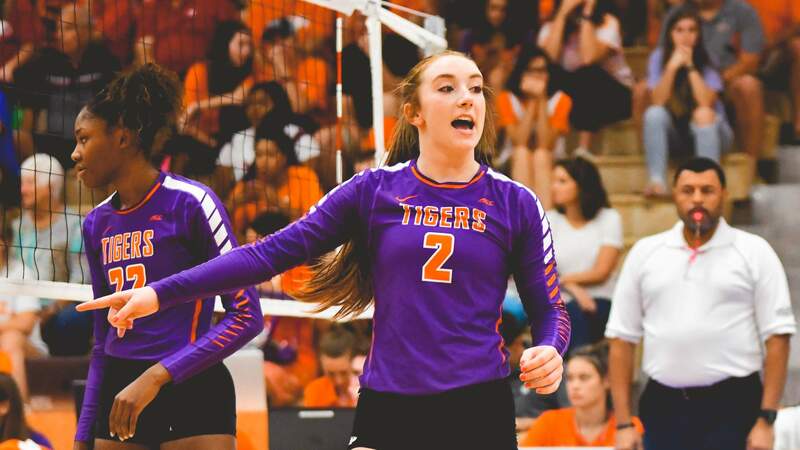 A kill by freshman Solei Thomas on a pass from Easton would seal the set and match, securing the Tigers’ sixth sweep of the season. 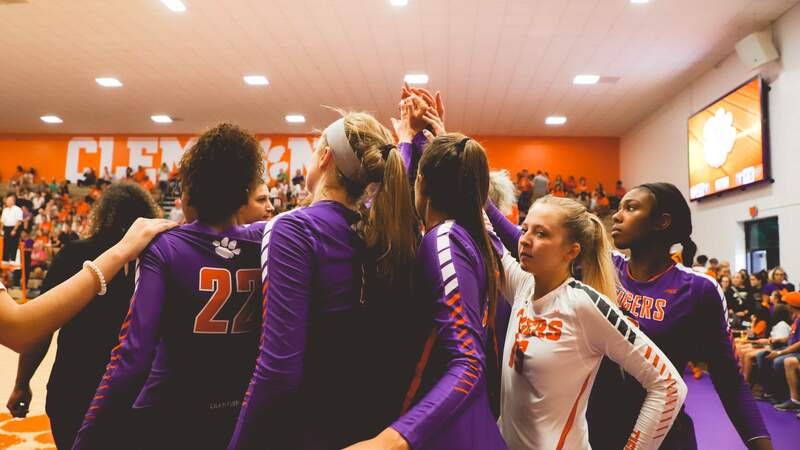 Up next, Clemson hits the road to face Duke Friday at 6:30 p.m., and Wake Forest Sunday, which is scheduled for 1 p.m. 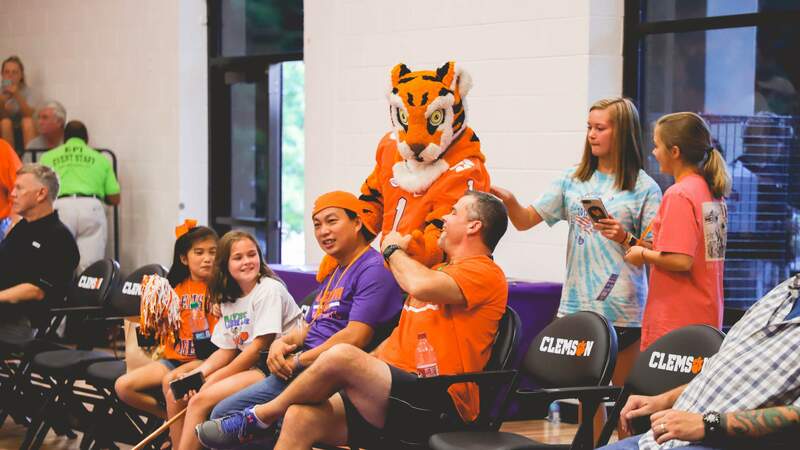 Both contests are set to stream on ACC Network Extra.